Export .dxl to .msg file and eliminate Domino XML Language accessibility issues. 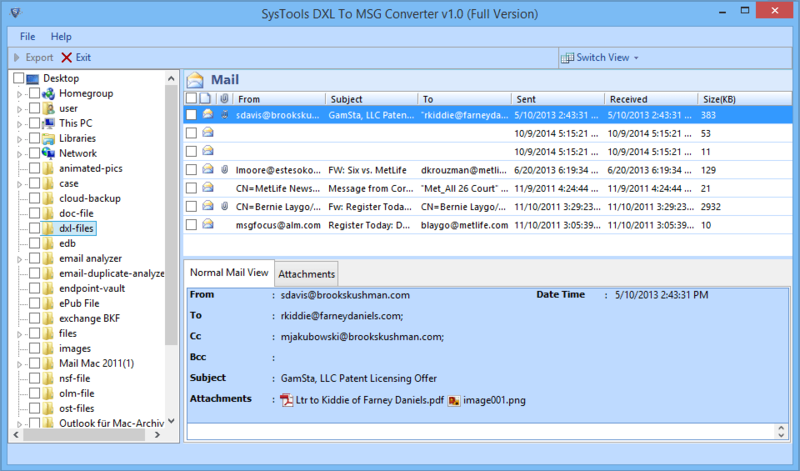 DXL to MSG converter Software supports functioning on any of the Windows based Operating System. Get the Notes template files converted to Outlook message format with the converter to save DXL as MSG. 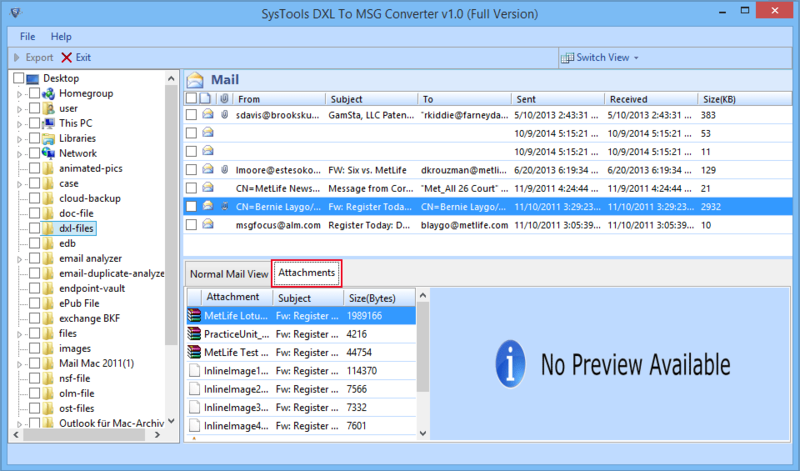 The DXL to MSG Conversion software renders migration of Domino XML Language files into MSG for easier readability with the help of Microsoft Outlook. 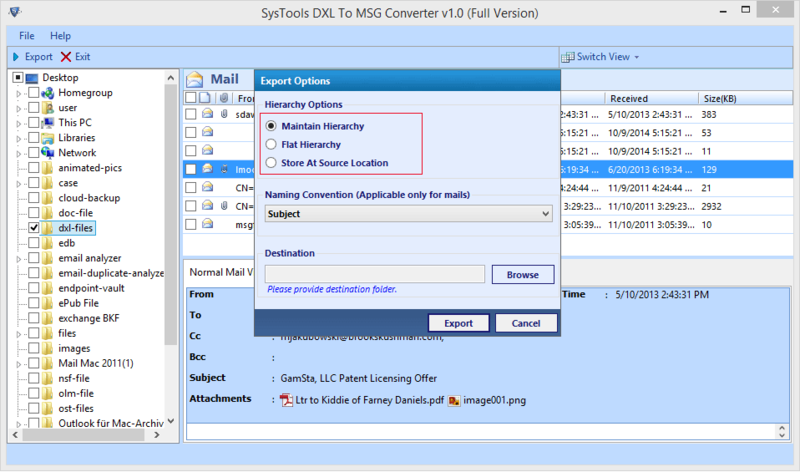 The DXL to MSG Converter Software can transfer more than just one DXL file at once with the help of its advanced programming. 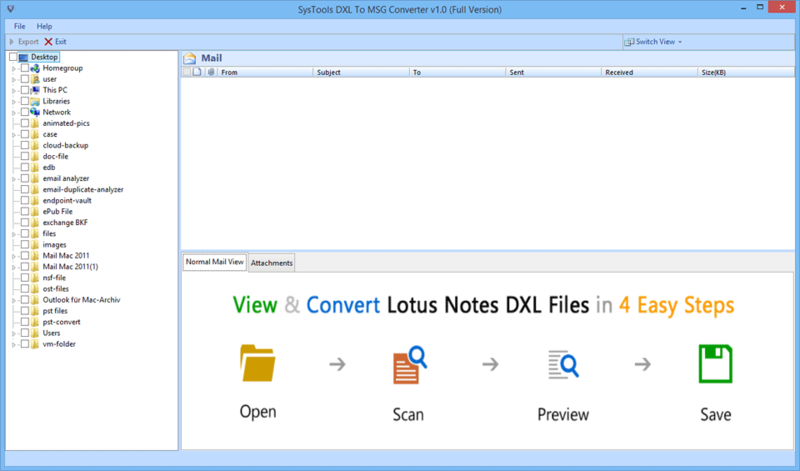 Multiple DXL files can be added to the DXL to MSG migration Software at once and after thoroughly scanning them, the tool proceeds with its conversion to MSG. DXL files are convertible to the variants of MSG file. You can convert DXL to HTML based MSG file which is the default form in which Outlook maintains its single messages on the platform. All the associated tags of the Domino XML are maintained. 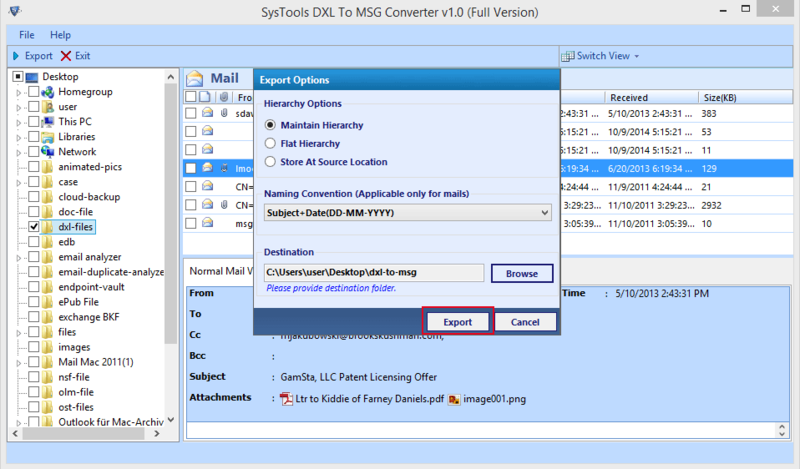 Export DXL calendar to MSG conversion can take place with the help of DXL file converter. The DXL to MSG migration software is built to support email based DXL files along with calendar based DXL file into MSG format file. The converter supports exporting DXL files into Plain Text MSG file besides HTML. 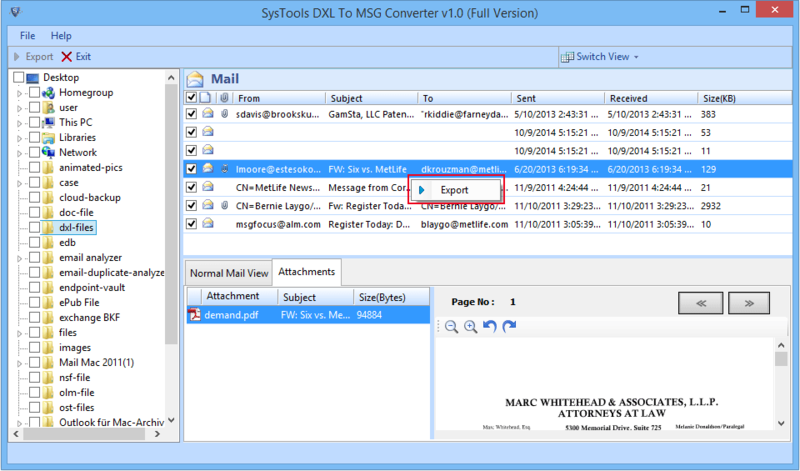 During the conversion of Domino based XML file, the DXL to MSG Exporter software maintains the file’s Rich Text elements and change the contents to plain text MSG. When the DXl to MSG conversion Software migrates DXL files to MSG (HTML / Plain Text), it offers to option to assign a preferred naming convention to the output file. All the MSG files generated can be named according to a fixed pattern of naming; by subject, sender ID, date, etc. An automated log report is generated at the end of DXL to MSG conversion. 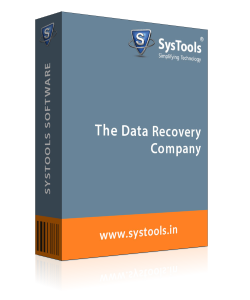 You can process multiple DXL files and convert them while the software records the details of the migration and generates a detailed report of the same. Q. What can I do to open a DXL file in a human readable format? Ans: You can make a DXL file readable without dependency on Domino is to convert it to MSG format using DXL to MSG Migrator. 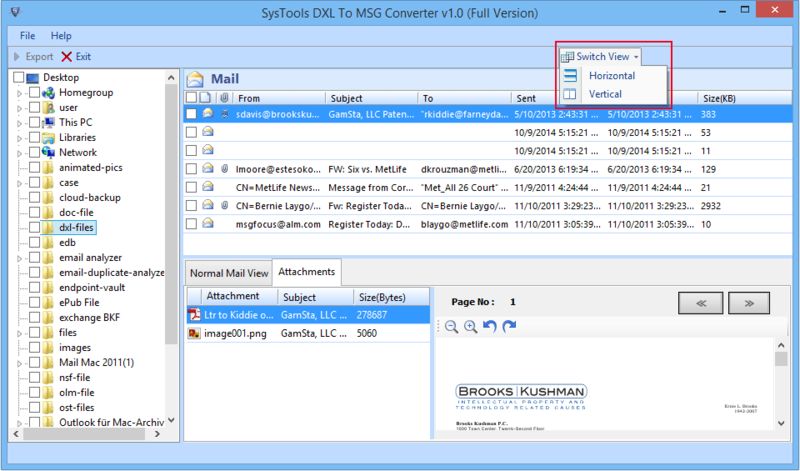 This DXL to MSG conversion tool offers the most user-friendly approach to perform the conversion, which enables the readability of DXL contents on an Outlook profile, the one that you are working with. Q. Is it possible to open Lotus DXL calendar in MS Outlook? 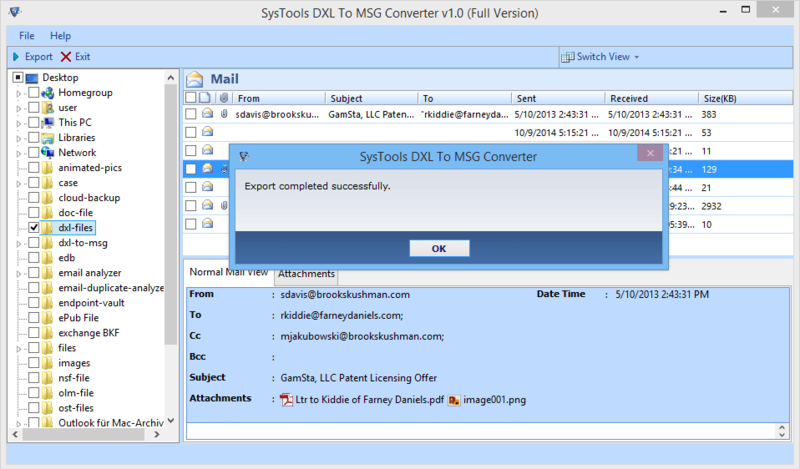 Ans: You can convert DXL to MSG file as a solution to the issue. If you no longer use Lotus client and have switched to Outlook instead, then this is the most appropriate file to transfer DXL file contents (emails or calendar). DXL to MSG migrate utility offers conversion into - HTML MSG and Plaint Text MSG file respectively. Therefore, you can choose accordingly, i.e. if you don’t have Outlook the migration should be done into plain text MSG for independent accessibility, otherwise HTML MSG. 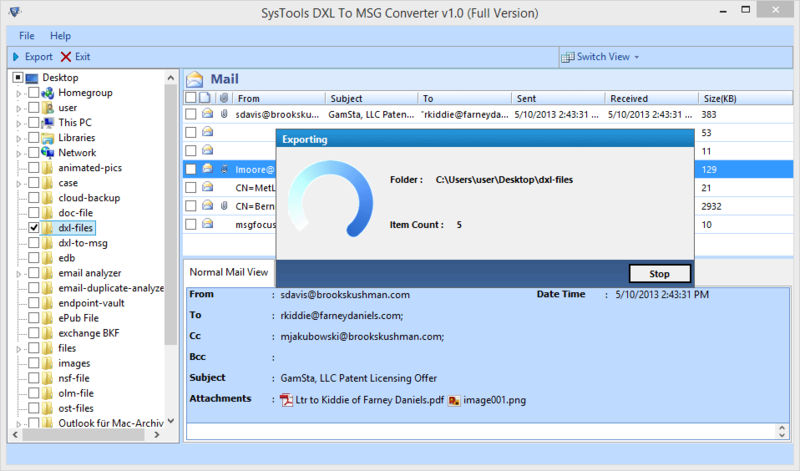 How to Convert DXL to MSG file using the Product? Step 1: Go to Start Button» All Programs » DXL To MSG Converter » DXL To MSG Converter. Step 2: Next, you can see the Windows Explorer hierarchical structure displaying the file contents as it is the best way to represent numerous folders. Now choose .dxl files by choosing a parent folder. By selecting the folder, a list of many files will show on right side of the window i.e., the preview panel. Step 3: Choose Normal Mail View button or tab (normal mail view) to preview the email content as display below. doc / docx, xls / xlsx, pdf, etc. Step 5: If you want to change the layout from vertical to horizontal or inverse, go to Switch view » Horizontal or Vertical. 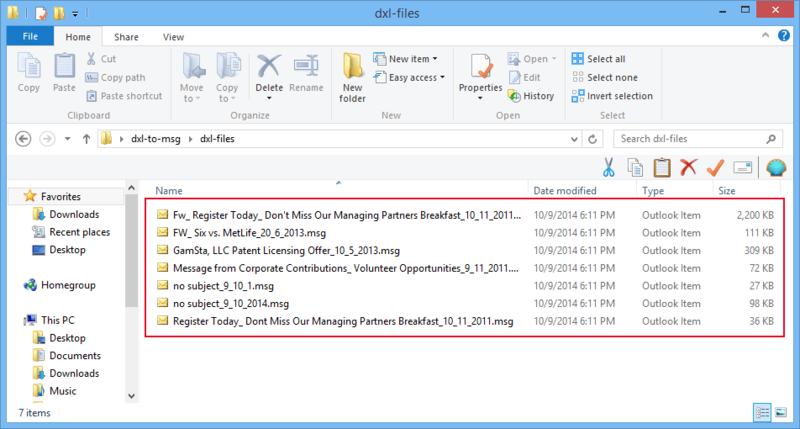 Step 6: If you want to convert a some selected.dxl file(s) to .msg file(s) from multiple folders. Click on the corresponding check-boxes and click Right for export Option. Step 7: You can also choose numerous .dxl files or all .dxl files to be extracted at once. If you want to do random selections, then select the correspondent check boxes. However, if you want to choose all the files, click on the "Export" button given on the software menu. Step 8: When you will choose the file(s) and click on the Export button given on the left side, then an Export Options screen will appear. Maintain Hierarchy: It provides the hierarchical structure remains constant. Flat Hierarchy: All the converted DXL files in the same folder. Store at Source Location: This option provides you to store converted files(s) in the same (source)location. With Auto Increment option, save MSG file name in number wise. 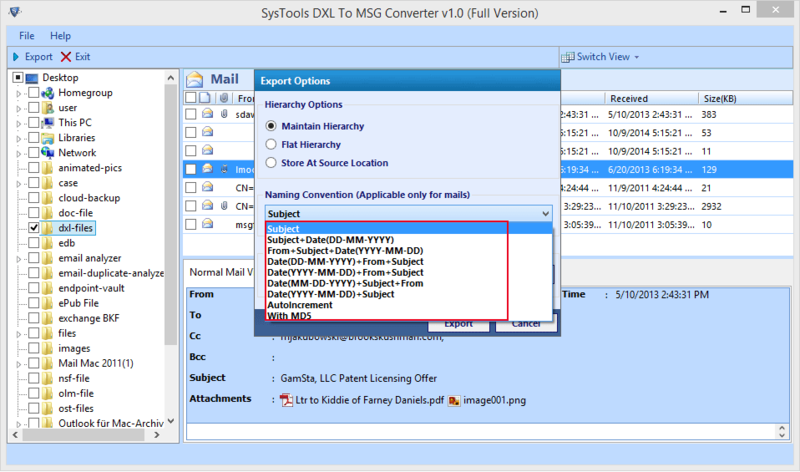 With MD5 option compare two same DXL files, after storing as MSG file type. Step 10: Browse a destination folder at your desired storage location where you want to save the .msg file(s). Click on the "Export" button to continue the transfer from DXL 2 MSG. Step 11: The export process will display you a location where you can save the exported data with item count. Step 12: At last, as the process completes, a pop-up window will show the message “Export Completed Successfully”. Click "OK" Button to Exit. Step 13: You can check the converted MSG files by navigating to the destination MSG files storage folder. Whenever possible, I try to get myself software applications for any technical requirements that I have. As template files, reading DXL was impossible with Notes, using Lotus Notes DXL to MSG converter Tool worked as the only feasible option to make it readable. The .dxl to .msg converter worked in an absolutely user-friendly manner. Thus, I had no trouble using the product or converting multiple DXL files to MSG format. Thank for the Tool, for making this conversion possible.